Autologous matrix-induced chondrogenesis (AMIC) refers to a type of treatment for the damage of articular cartilage. The treatment blends the application of a bi-layer collagen I/III membrane with micro fracture surgery. The treatment refers to a single step procedure that makes use of micro fracturing method and that is a well-established first line of treatment. The world AMIC market is foreseen to grow owing to the soaring requirement for surgeries that are minimally invasive. Apart from that, increasing incidences of joint and bone disorders are predicted fuel growth of the market for AMIC worldwide. The international market for AMIC was valued at round US$89.71 mn in the year 2015 and is predicted to reach a revenue of around US$186.38 mn at the end of the period of forecast. The market for AMIC is predicted to display a healthy CAGR of 8.6%. The international market for autologous matrix-induced chondrogenesis is prognosticated to be segmented as per material, and geography. Of all the sub-segments, collagen that comes under the segment of material is poised to expand at a very high growth rate. 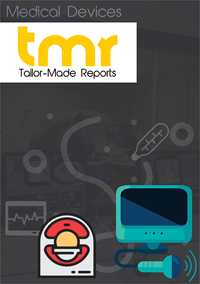 The report offers a detailed view of the world autologous matrix-induced chondrogenesis market, including its segmentations, competitive vendor landscape, market trends and opportunities, and regional outlook. It is foreseen to work as a critical guideline so as to secure a significant position in the market for AMIC. The world AMIC market is anticipated to ride towards success at the backdrop of burgeoning demand for invasive surgeries. Articular cartilage damage is repaired with this treatment method. With the increasing popularity of sports and growing participation of more and more people, the market for AMIC is anticipated to grow as with increasing popularity of sports, comes the growing risks of sports related injuries. The category of collagen, as mentioned before, is expected to gain traction and is predicted to account for a large share of the market. Collagen is widely utilized for the various applications like tissue engineering. Outstanding handling capabilities of collagen and tensile strength are foreseen to drive the market for AMIC. However, international market for autologous matrix-induced chondrogenesis could be obstructed by certain factors such as inefficient systems of reimbursements. Furthermore, patients often postpone the adoption of this AMIC treatment as this form of treatment is mostly not insured by the health insurance firms. In addition, there is an absence of enough clinical data that could further facilitate the usage AMIC. As such, these factors are estimated to restrain the growth of the market. Despite such restraining factors, the market is poised for growth owing to the rapidly developing industry of medical tourism. Tissue engineering is also forecasted to boost the market. The international autologous matrix-induced chondrogenesis market is foreseen to gain immense momentum in North America because of increasing incidences of many joint and bone disorders such as rheumatoid arthritis, arthritis among the geriatric population here is quite likely to back the progress of the market for AMIC IN North America. The market for AMIC in Europe is to be supported by the growth the market in Germany and France. These two countries account for more than a total of 45% of the total market share in Europe. The region of Asia Pacific is forecasted to experience substantial growth owing to the expanding geriatric population that suffer from various forms of arthritis. Increasing disposable income of the people, growing incidences of cancer and growing demand for treatment of minimal invasive surgery are set to fuel the market in this region. The world autologous matrix-induced chondrogenesis market is foreseen to witness the presence of prominent companies such as Anika Therapeutics, Inc., Smith & Nephew plc., Geistlich Pharma AG, Zimmer Biomet Holdings, JRI Orthopaedics Ltd, BioTissue AGB, Braun Melsungen, Geistlich Pharma AG,., and Matricel GmbH .